One issue a lot of us will face when travelling in an RV is internet connectivity. We're not going to have the superfast broadband connection that we may be used to at home. 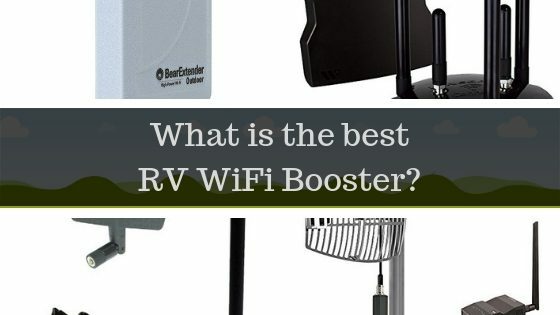 But with careful consideration we can choose the best RV WiFi booster and massively extend our range so we are still able to stay connected during our trip. A good wi-fi booster can be a great addition to your RV. Not only will it allow you to use more of your networked devices while you are on the road or camping, but it will provide one of those little comforts that makes life on the road a bit easier. Choosing the right wi-fi booster can be difficult, though, especially if you aren't coming from a tech-heavy background. Learning how to make the right choice means not only reading up on the options that are available out there but also taking a look at the features that matter the most to RV owners. If you're looking to boost the signal to a single computer, you may not want to buy an actual repeater. Repeaters are great when you want to set up wi-fi for multiple devices, but an extender might be better if you just want to make sure your laptop gets the signal it needs. That's the purpose of this extender from Bearifi, and the unit manages to do its job exceedingly well. This extender makes life very easy on anyone who wants to give a laptop a bit more range. 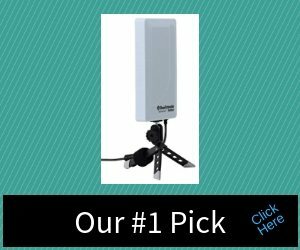 It offers three different mounting options, for example, which makes it easy to either get a better signal or to fit the device in a small place. It doesn't even need AC power, so you won't have to deal with any other cables. The device is about as simple as it gets in terms of technology, but don't let that fool you - the lack of bells and whistles actually makes it incredibly reliable. If you're just looking for somethign simple, this might be a very good choice for you. There are some downsides, though. Leaving out the fact that this is not a true repeater, you're still left with a device that's harder to set up than it really needs to be. You will either need an optical drive or an existing internet connection to get the device set up, both things that might be in short supply in the average RV. When you are done, you'll be left with something that's legitimately very good for checking your email or browsing websites, but that won't work well for streaming or gaming. This is a device meant for very basic internet usage, but that's more than enough for some. Repeaters are a strange product. While they're great at grabbing a wi-fi signal, they're still just a mid-point in the speed delivery system. If you're looking for something that's not going to slow you down, you might want to look at a more powerful antenna. This will help you to get signals more easily, allowing you to set up a single laptop much more easily and to ensure much better performance. This is a bit of a wildcard because it's not a traditional booster. Instead, it's a souped-up wireless card that absolutely allows you to grab signals at a range that isn't typically possible for such products. The benefit of this is that it allows you to have a much more solid connection with fewer connectivity problems. This is also helped by the fact that the device has multiple mounting options and that it's even water-proof - perfect for those lookign for an 'oops-proof' wi-fi solution. Insofar as WiFi antennae are concerned, this one is a real winner. Not everything is positive here, though. 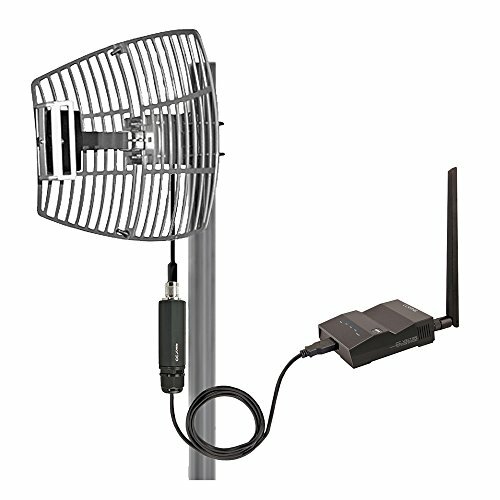 This isn't a typical repeater - this is actually a wi-fi antenna, so you're going to have to use a computer or laptop if you want to get this wi-fi antenna running. That means you're not going to be able to use a gaming system or smart-phone with the antenna unless you already have a computer present, so be prepared to bring along your old laptop. There are also a few rare but significant manufacturing errors that can cause the card to burn out, so make sure that you keep your customer service contact information handy if you choose this card. One of the most common complaints about wi-fi boosters is that they take too long to set up. It's not the installation process or the software that's usually the problem, though - it's the physical set-up that matters. Users often have to cobble together extensions or drill holes into their RVs, both processes that are often more trouble than they are worth. Fortunately, this booster from Alfa makes installation as easy as possible. This is one of the few wi-fi boosters that you can simply mount to your window and use. If you're comfortable with a clip or a suction cup, you won't have any problem with this router. Once you have it attached, you can start using your wi-fi after a bit of (admittedly frustrating) set-up. It's very easy to tell that the main goal of the company was to ensure that this product was portable, so you'll be able to move it around to ensure you always get the best possible signal. The bad news is that the smaller size means a huge sacrifice in power. It's going to help out most campers, but don't expect to run too many devices at once. This unit won't give you quite as much range as many others, either, once again due to the size. If you're looking for something that's going to allow you to enjoy your wi-fi without having to do any physical installation, though, you'll have trouble beating this unit. Setting up your own wi-fi booster shouldn't be that difficult. Unfortunately, many people who set up boosters in RVs find that the entire process is much more difficult than they would have imagined. In fact, it can be downright impossible for the less tech-inclined. Fortunately, this kit makes the entire set-up process much easier than you might typically imagine. Perhaps the best thing about this booster kit is just that - it's a full kit. This isn't just a wireless booster that you'll set up, but rather a full kit that's meant to help you to get your new wi-fi set-up up and running quickly. 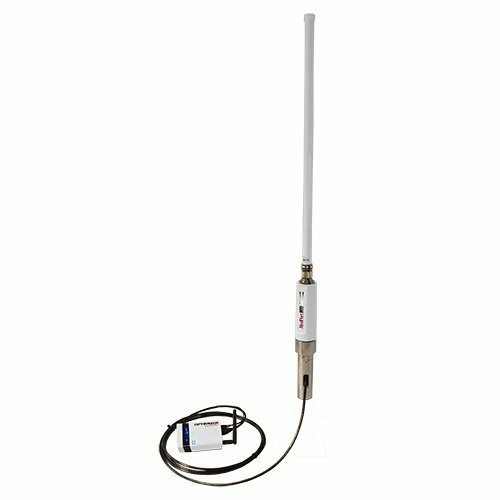 It has everything you need for a working system, including the ethernet cord and the tape - the only extra item you might want to pick up is a PVC pipe to increase the height of the booster. Even if you stick with what's in the box, you'll get a great signal that will allow you to get wi-fi from a fairly significant distance. The downsides to the RV wi-fi booster are fairly standard, at least for the most part. There are certain types of security with which the booster is going to have a problem, generally including those that require first connecting to a website so that you can enter your information. The repeater also tends to have an issue with 'forgetting' networks, which can be a little on the annoying side when you frequently use the same campgrounds repeatedly. If you're not bothered by having to re-enter information, though, you might find that this booster works very well for your needs. One of the big problems that many people have with repeaters is that they're a bit delicate. It's largely due to the technology found inside, of course, but it's still a problem. If you're looking for a repeater that can take a bit of a beating, you'll love this unit from Halo. This is really one of the most robust wi-fi repeaters that you'll find on the market today. A great deal of that comes from its marine heritage, which means that the unit is meant to stand up to a great deal of wear and tear. That's really beneficial for those who want to keep their repeater attached to their RVs all year long since a little rain isn't going to hurt this device. It's also one of the easiest repeaters to use, as it's got a fantastic phone app that works incredibly well. From a basic usability standpoint, this is a great repeater. 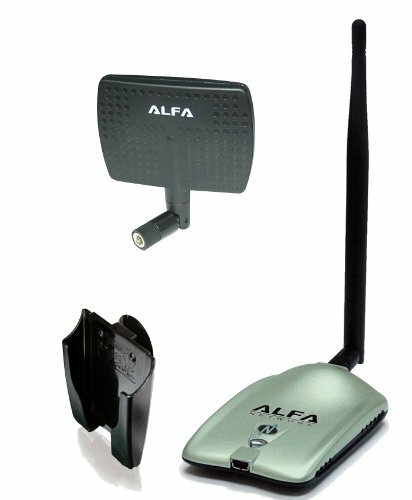 This is not, however, a great wi-fi repeater for those who go camping in the deep woods. The unit works best when you have a clear line of sight to the original signal and anything in the way is going to significantly hurt your signal. Even worse, the firmware updates for the unit can actually make it harder to use, something that isn't helped by the difficult installation process. If you need something that's very rugged, though, you will find few items on the market better. 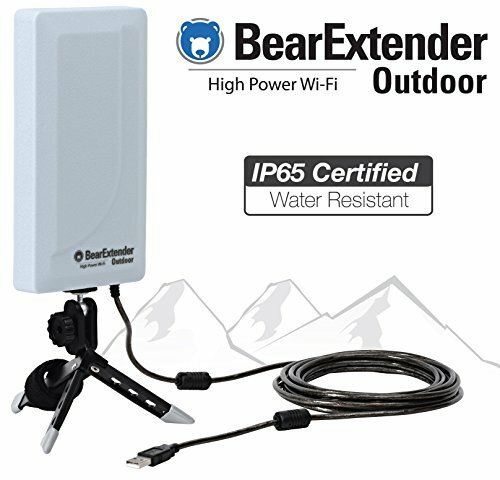 This is less an item for frequent wi-fi users and more of a resource for those who find their RVs routinely exposed to the elements. One of the problems with using any type of wi-fi booster is signal strength. Depending on who is using the device, where you stand, and even the time of day, you can have very different experiences. Fortunately, this unit from Wineguard goes a long way towards providing a better-than-average wi-fi experience. Consistency is the watchword for this repeater. It not only has very consistent signal strength when it is used, but that signal strength manages to say virtually the same throughout the coverage area. That's a rarity for any type of repeater, to say nothing of what you usually find in RV models. The unit is also typically very good at picking up a number of wi-fi signals, even in places where you'd think you'd find nothing. Finally, the system manages to be incredibly easy to both to install and to set up, letting users get to their gadgets faster than average. Oddly enough, there are some performance issues with this device but they aren't at all consistent. Instead, there are some networks to which the device just doesn't want to connect - and there doesn't' seem to be any good reason why this might be the case. Unfortunately, the customer support team doesn't seem to have many answers, either. They're very difficult to get a hold of and not as good about answering questions as one might hope. When the device does connect, though, it works like a charm - still making this one of the better overall repeaters on the market. One thing you can't really change about your camping experience is how far you away you are from a wi-fi source. That's why it's so important to have a good wi-fi repeater that works at a distance, especially when you depend on having a connection. This unit for CC Vector manages to give most users the kind of range they need the most. As you might expect, this unit works very well when it's close enough to a good wi-fi source. Unlike some other units, though, 'close enough' really is a relative term - you can be nearly half a mile away before you notice any real drop-off. This is great news because this is the kind of unit you're going to want to use while you're out camping. It only takes a few minutes to set up, and any major problems are quickly and easily dealt with by the company's customer service. If you're looking for a great repeater, these are the basic features that you're going to want. The only real downsides to this RV wi-fi repeater have to do less with the individual device and more to do with the laws of physics. There is a very sharp speed drop-off as you get close to the edge of this unit's range, and connections get spottier the farther out you get. There are also some real issues when it comes to connecting multiple devices, but those looking to get wi-fi on their phones or stream video shouldn't have many problems. 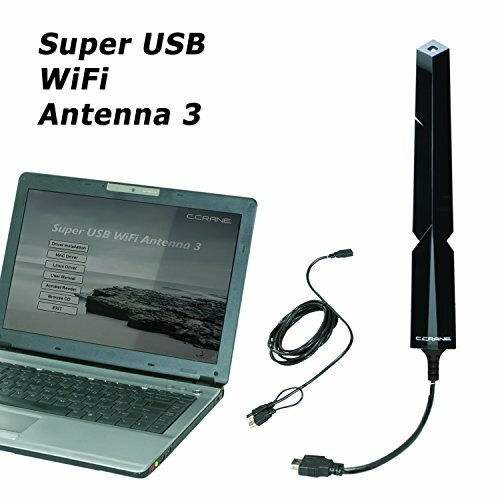 This is a solid wi-fi repeater that really will help you to get more out of your wi-fi experience. 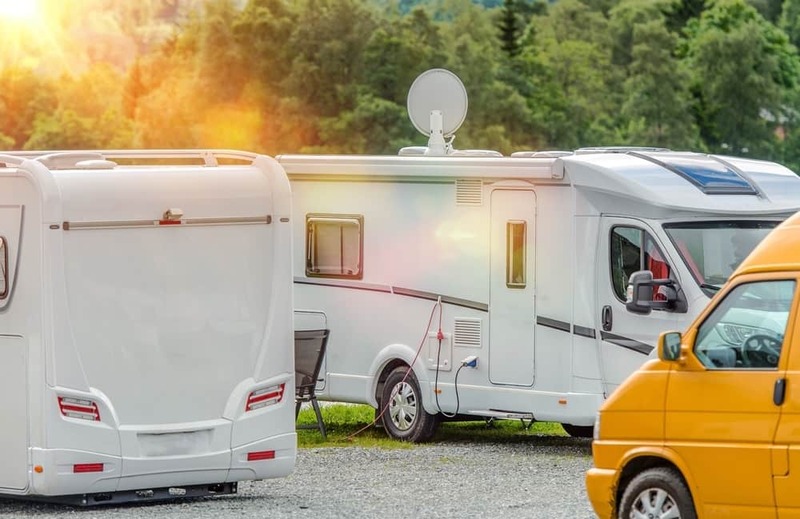 While having a dedicated Wi-Fi booster for your RV is a great idea, it's important to remember that every RV owner needs something slightly different when it comes to outfitting their vehicles. As such, you may want to stop and think about which features are actually the most important to you. Each of the features listed below should impact your choice of RV Wi-Fi booster, though only you can decide which of these features will have the most impact on your eventual choice of a wi-fi booster. Realistically, the price is going to play a role in determining which wi-fi booster you end up buying. The unfortunate thing, though, is that there's not a specific price point that's going to make a given wi-fi booster any better or worse than you. Instead, it's a good idea to take a look at your budget and figure out where the wi-fi booster fits for you. Even a great wi-fi booster isn't worth breaking the bank over, so do a little math and figure out how much you can reasonably spend. Once that's done, you can take the next step. Once you have your maximum budget set, take a few moments to figure out how often you're going to use the wi-fi booster and for what you are going to use the device. If you're looking to get high performance out of a device that's going to be constantly used, it might be a good idea to spend a little more. If you're looking for something that's just a backup amenity, though, you might want to consider going with a budget model. Try to remember that you'll usually get what you pay for when it comes to these models, so don't be surprised if you can't get all the features you want without upping your potential price. 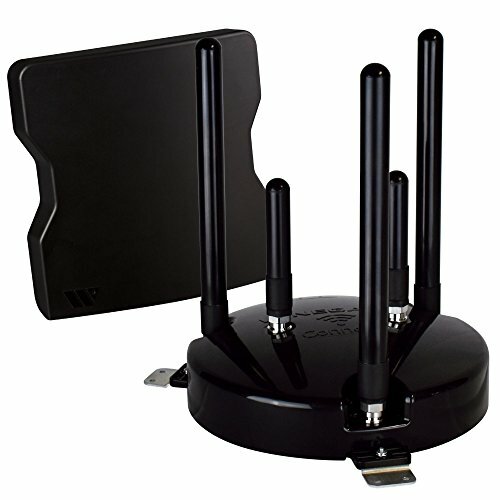 The good news about most wi-fi boosters is that they are very easy to move around. This can be great for those who own recreational vehicles, of course, especially as they decide to relocate the device due to usage changes. These wifi boosters do, however, come in a number of different sizes and weight so you might want to look at those factors before you make a purchase. While most are of a similar size, you might have needs that preclude using a larger or smaller wi-fi booster. The best way to look at size is to think about how often you're going to move your wi-fi booster. If you're going to keep it in the same place no matter what, you don't really need to be concerned about size or weight. If you think you'll be moving it in and out of your RV, though, you might want to consider how easy the device is to pack up and manage. Luckily, only a few high-end wifi booss are significantly bulky enough to make life hard on frequent movers, so this should be a relatively minor factor for most RV owners. Range is used to determine exactly how far the wi-fi signal from the wi-fi booster can successfully reach. The good news for most RV owners is that even a relatively weak wi-fi booster is going to be able to project a strong signal from the front of an RV to the back, so basic coverage shouldn't be too much of a problem. What's a little more important, though, is how you plan on using the connection outside of your RV. That's both the point where range becomes important and your choice of wi-fi boosters might become a little more limited. A good rule is to buy a wi-fi booster with a bit more range than you think you'll need. This will allow you to use a wi-fi connection when you are outside of your RV and not have to worry about the strength of the signal. Try to remember that most companies are a bit on the generous side when they describe the reach of their products, so assume that you'll lose a few feet compared to what's on the box. If you give yourself extra room, you will find that your wi-fi experience is much more convenient. This is probably the most technical issue, and often the issue that is least understood by buyers. Wi-fi seems like a one-size fits all solution for most, but the truth is that it's broadcast over a handful of different standards. As a rule, the newer standards are more powerful and allow for higher data speeds. The bad news for buyers, though, is that wi-fi boosters that work on these new standards do tend to be a little more expensive. They also won't give you the full benefit of their upgraded power unless you actually have devices that work with the new standards. The good news is, of course, that even older devices will work with brand new wi-fi boosters. Even if you buy a wi-fi booster that's using the latest standards, your older devices will still work as well as they've ever worked. Your goal in making a purchase, then, should be to figure out how you'll get the most out of your current equipment. If you don't plan on upgrading your technology any time soon and you've only got older gadgets, picking something that works with the last generation's technology can save you money. If you like to be on the cutting edge, though, picking a wi-fi booster that uses the newest standards will help keep you ahead of the curve. How you interact with your wi-fi booster is always going to be important. At a very basic level, this will determine how easy it is for you to troubleshoot problems and how easily it will be for you to make changes when necessary. The good news is that newer wi-fi boosters typically make use of smartphone apps for the bulk of their controls. All you'll have to do is download an application and you'll never have to worry about touching a computer again. The bad news, though, is that most of these newer devices do carry a higher cost than some of their older counterparts. Figuring out what type of control scheme you need isn't too tough. If you're a laptop user and you're comfortable with making changes to your wi-fi booster the old-fashioned way, you don't really need to worry about a smartphone app. If you want to save money and don't want to deal with going into the settings and tweaking things, you may also be able to get away with using a lower-cost wi-fi booster that has a PC control application. If you're looking for the easiest solution, though, finding something that can be controlled through your phone is the best way to get the job done. The final key to finding a good wi-fi booster is finding one that you're going to be able to customize to your use. While some of the factors listed below are an all-or-none proposition, there are other elements of a wi-fi booster that aren't going to be important to only a few people. Figuring out if you're going to get something that works for you out of the box or if you're going to have to tinker with the device to get what you want really matters. Customization is often, but not always, a software issue. If you feel like you can work with the included software, you're going to be able to make many more choices with your device. For some, though, that level of accessibility can actually be problematic. After all, you may just prefer something that works out of the box. It's always a good idea to do a little digging to figure out how accessible your potential wi-fi booster might be and how much work you'll have to put in to make it meet your needs. There are many extra features for wi-fi boosters that matter to some buyers, but not to all. Things like the types of mounting options that are available, whether or not the unit is weatherproof, or even how well the wi-fi booster might interact with specific pieces of technology in your RV. These extras may not be the most important things when it comes to buying a good wi-fi booster, but they can ultimately make the device more worthwhile for you. If you know that you have specific needs, it might be a good idea to start with those first instead of considering them to be mere extras. Ultimately, there's not a single best wifi booster for RV out there. There are great wi-fi boosters, though, and they can help you to get the experience you need on the road or at a campsite. Remember to keep each of these factors in mind as you do your shopping and don't forget to do some research if you can't tell whether one wi-fi booster outperforms another. At the end of the day, it's making sure that you get the experience you need that will matter the most.